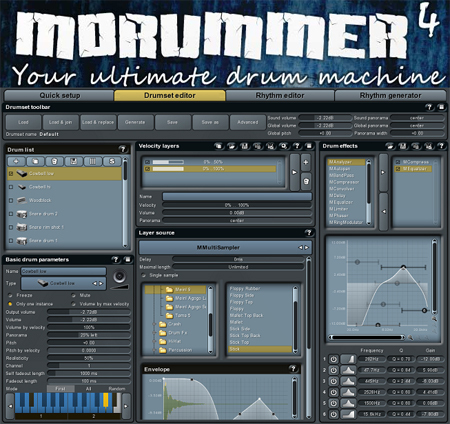 MDrummer is a percussive instrument engine. Advanced users can use the rich set of capabilities to enjoy the power of sound and rhythm systems of the virtual drummer. Beginners can use MDrummer simply to create great drum-tracks in almost no time. MDrummer Large is the full version of MDrummer containing about 7 GB of resources and full program functionality, of course.